I rarely curl my hair because being the fuss pot I am, I only want a certain style of curl. Having only owning a 38mm barrel, I wanted one something smaller and ended up purchase this Enrapture Encode Totem Styler. With all of the raved reviews (I’ve joined the trend a tad late) and the interesting concept, I caved in. 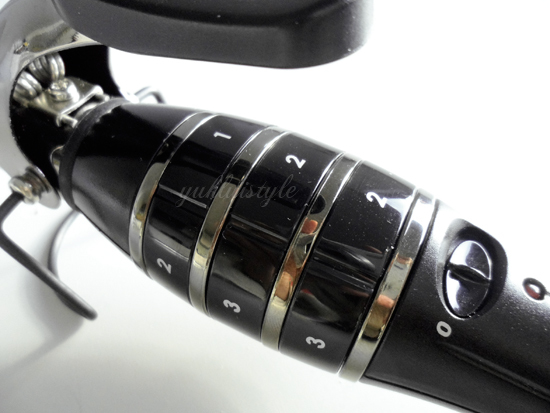 A 25mm barrel consisting of 3 heat zones which are controlled by the dials, from 1 for loose curls through to 3 for tight curls. For the curls above, I have used 1-2-2 and with the mini flipper and I love the outcome! Looser at the top and slightly tighter towards the bottom resulting in a volumous look. 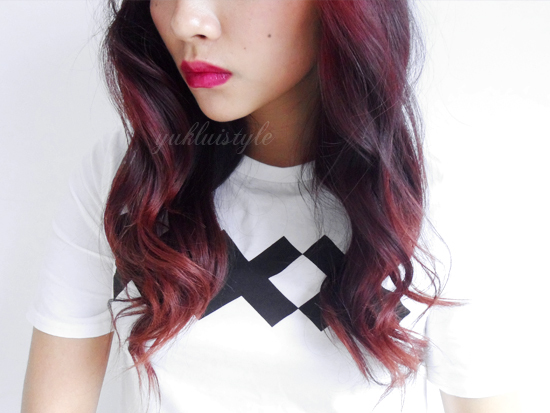 These are the exact curls I’ve been wanting. I cannot wait for my hair to grow even more then it’ll be perfect. After each usage, I haven’t actually noticed whether the titanium plating had left my hair looking shiny as I was “starstruck” with the outcome. I have noticed it hasn’t tugged my hair and it took me 10 minutes to do my full head as I have thin hair. The curls lasted a good full working day or even slightly longer which is also helped by the use of styling products. It heats up in around 50 seconds and I must admit, did burn myself whilst I was using it. Ouch newbie alert. An instruction booklet came with it containing a few look examples which you can create with this styler as well as instructions. Very useful for a beginner. 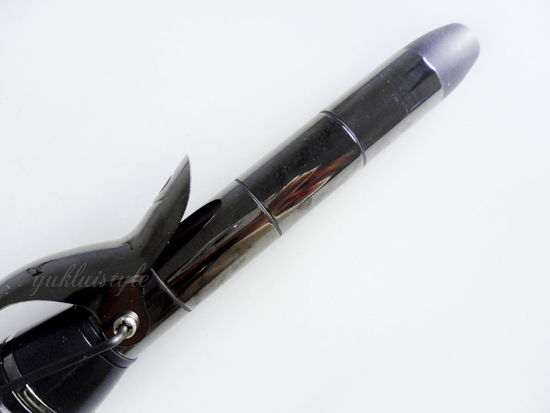 You’ll need to practice with it to get the hang of it like with other curlers. 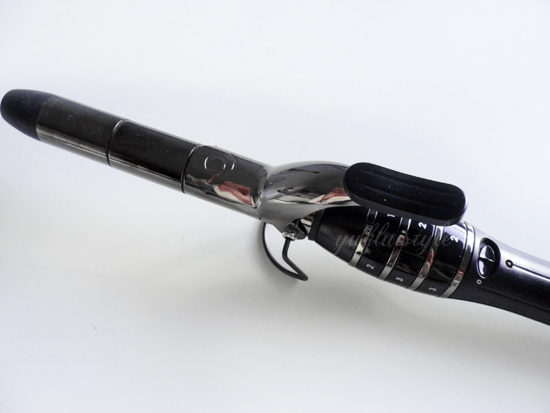 This is the perfect wand to create many many looks all in one without having to change to other tools. I would start curling my hair more now that I have this. I definitely recommend it and I would experiment with more curling ideas. Random but don’t you hate it when one side of your hair looks amazing whereas the other side is the total opposite?! 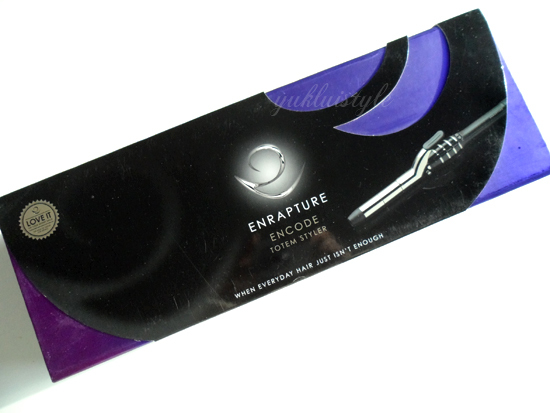 Have you tried Enrapture before? your hair looks so lovely, I should really invest in a decent curler like those. Your curl is beautiful. I will recommend this to my friends. Gorgeous! The curls look fab, definitely do them more often :). I've been intrigued by this totem styler since it got introduced onto the blogosphere but I've got way too many curling tools already to buy another for the collection. Very innovative though, if not just cool for the gimmick! I like the look of the curls, they way they get tighter at the bottom. I would be keen on trying it especially if you get a variety of types of curl. I love the curls it gives. 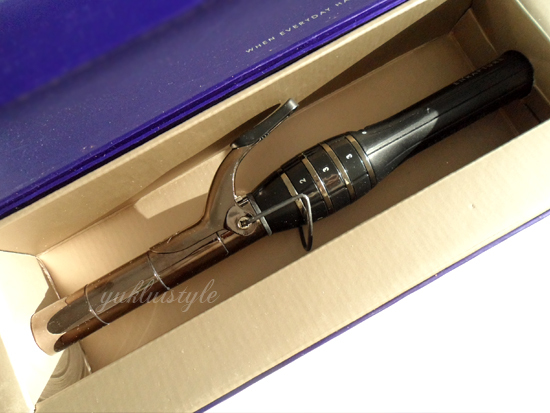 I have a similar curler from Babyliss, but I don't like curlers anymore with the 'clip' so I'm on the look out for a curling wand instead. Seems like an awesome hair curler! Heard a lot about this! Will try! that seems pretty nice one curling iron! Love it! It looks very natural! I want to have your hair colour as well! I love the curls it created. Looks good and natural. Thank you for sharing this. Great review.